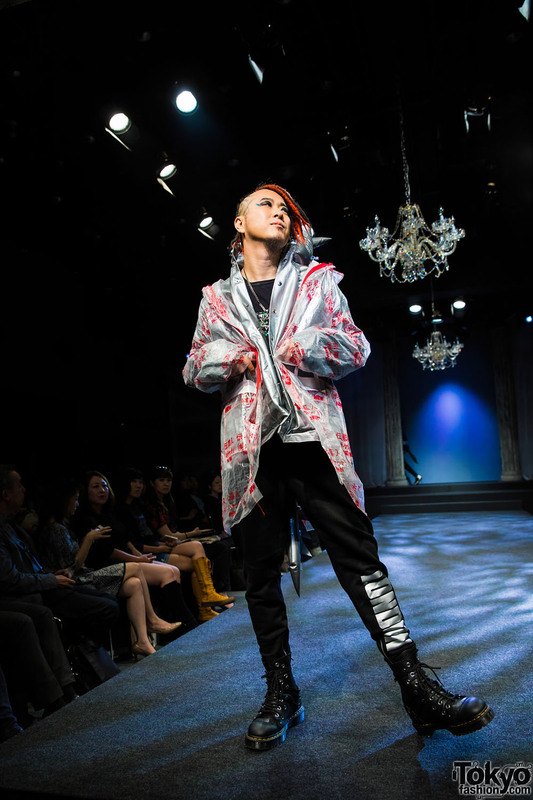 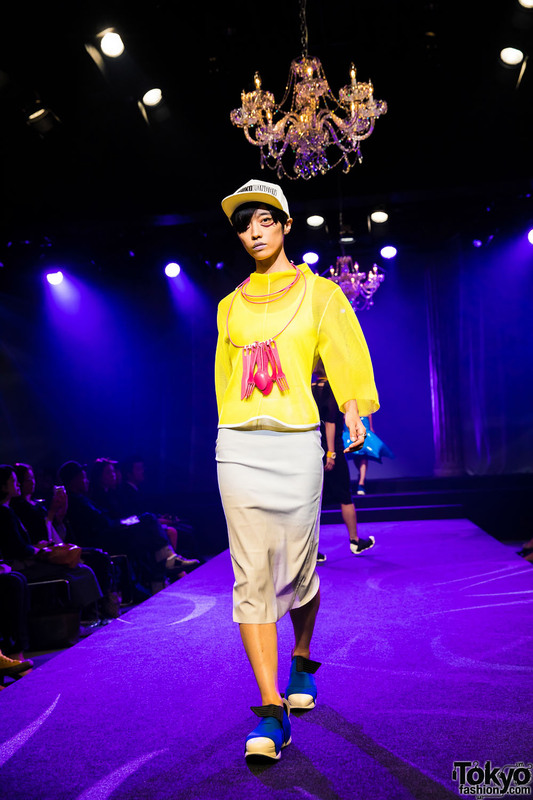 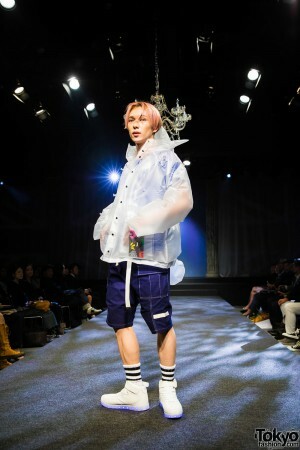 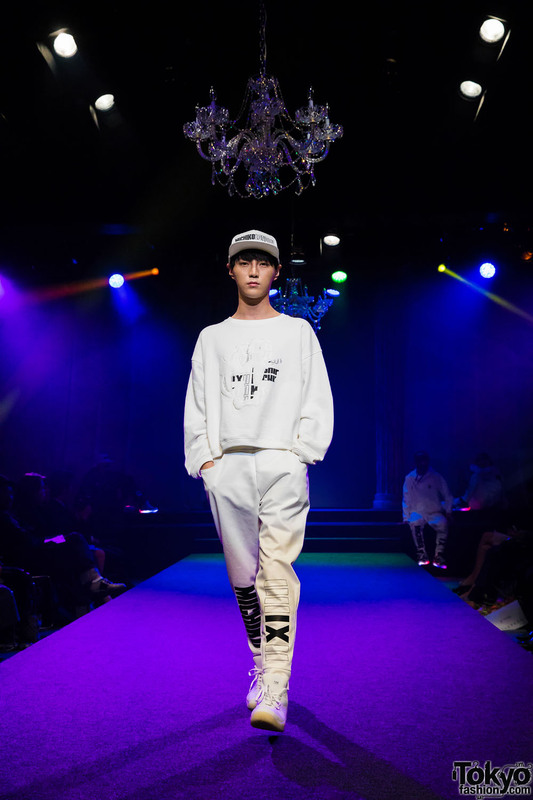 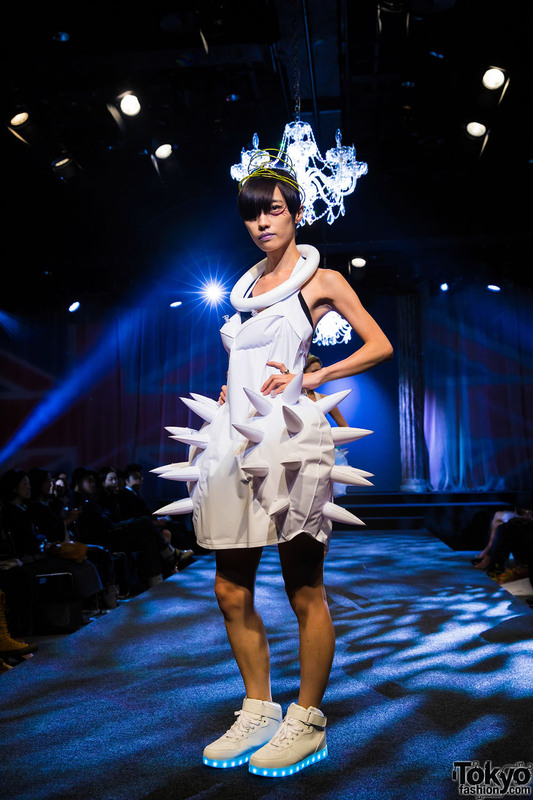 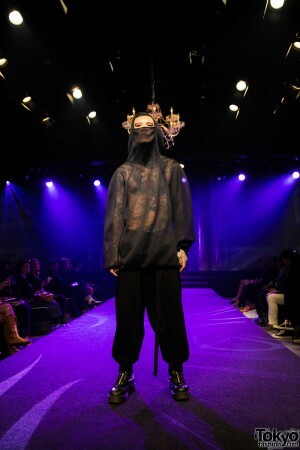 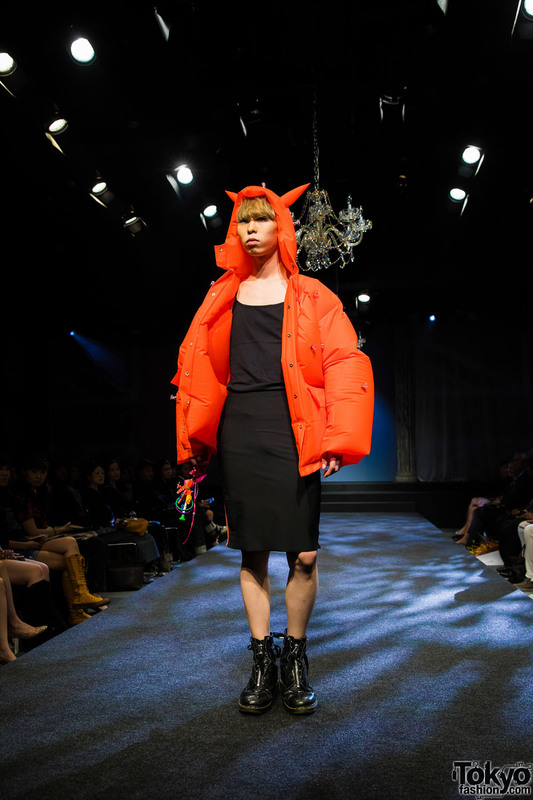 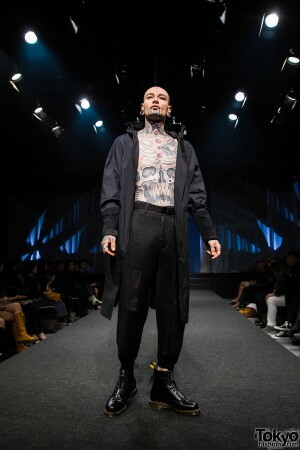 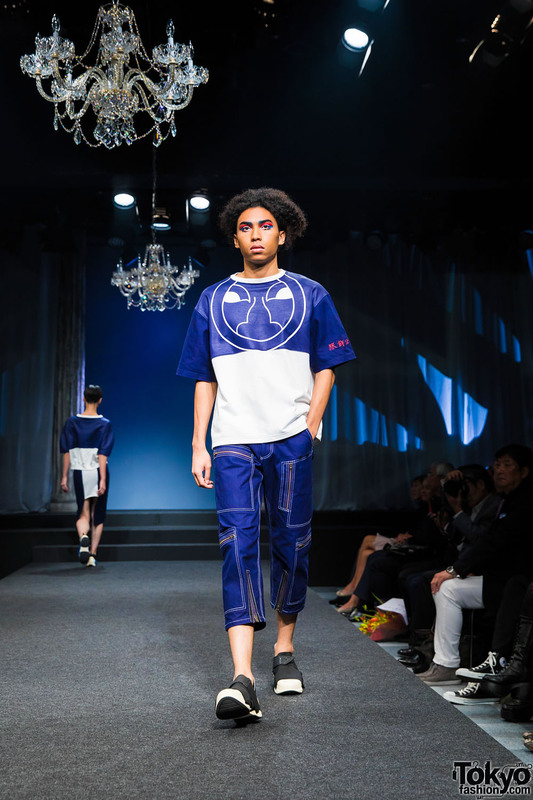 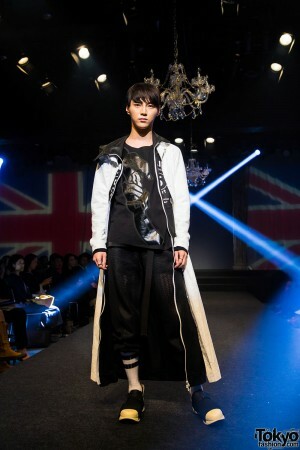 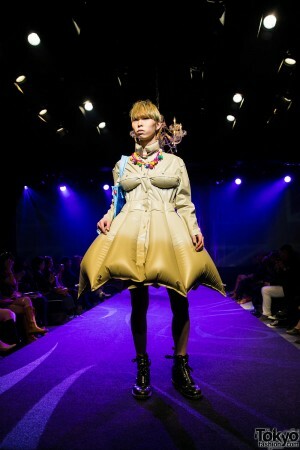 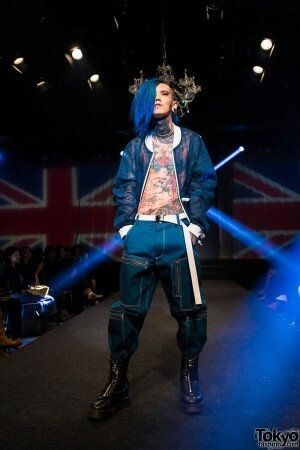 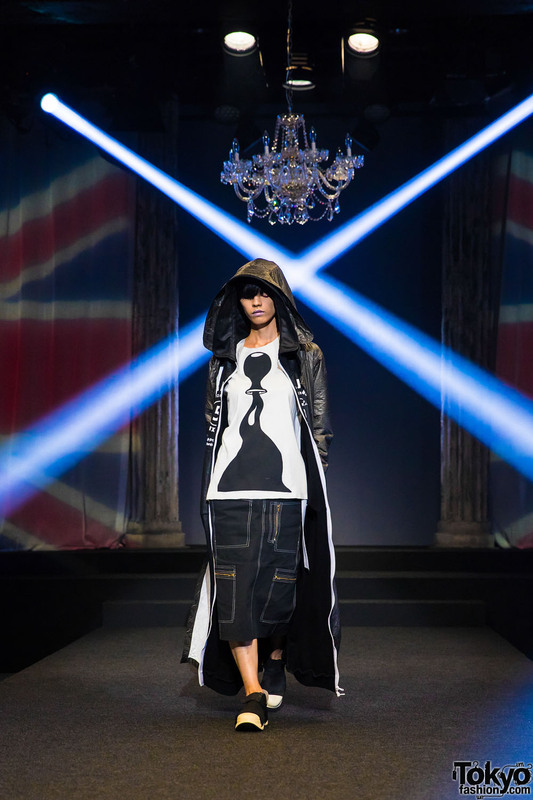 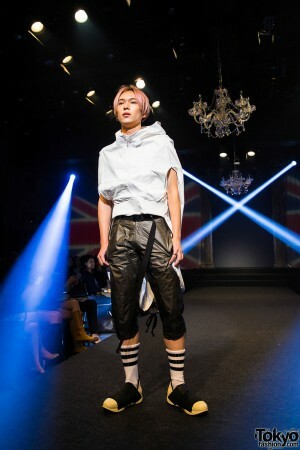 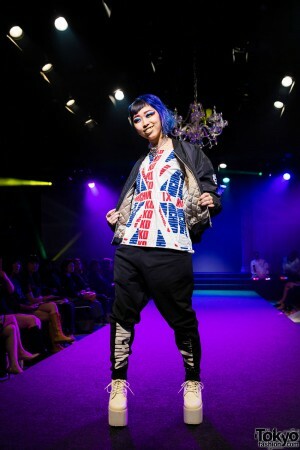 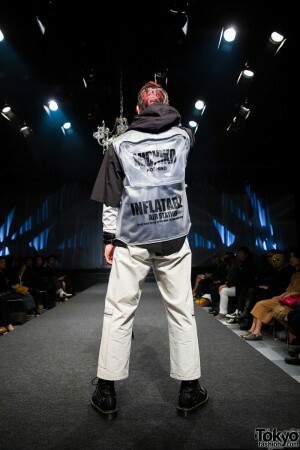 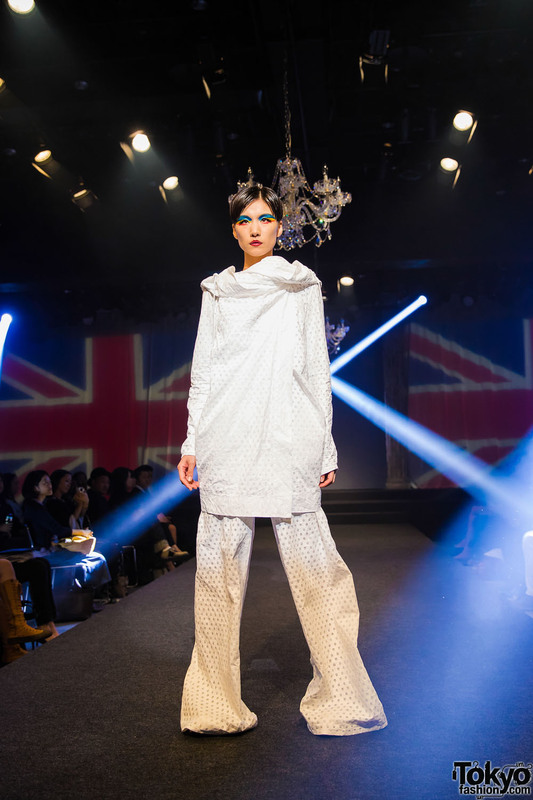 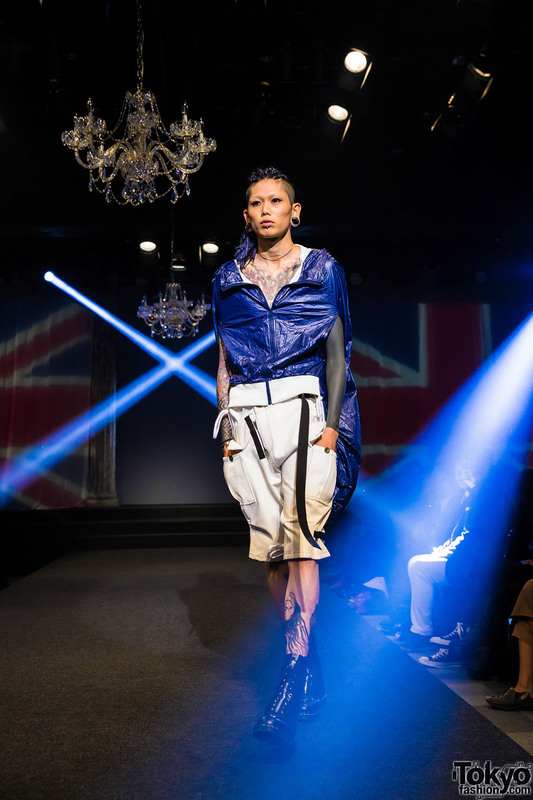 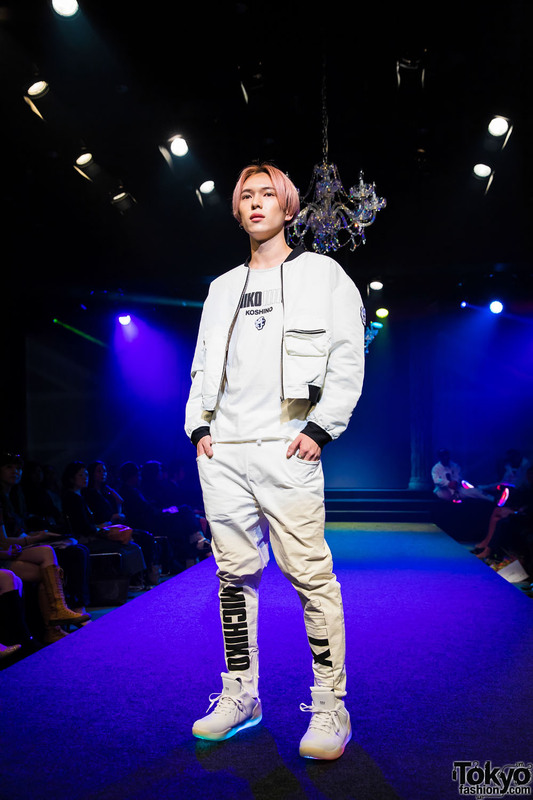 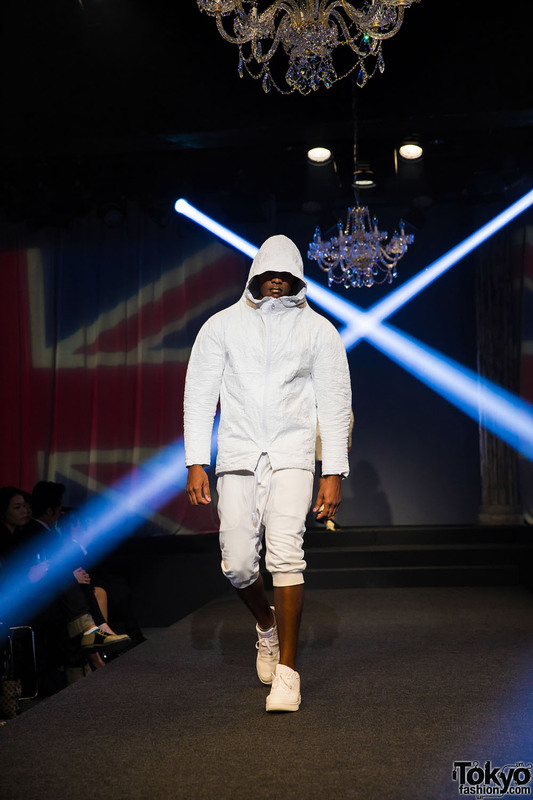 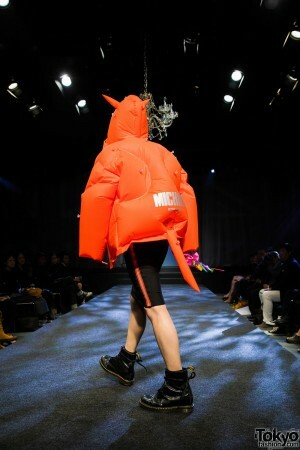 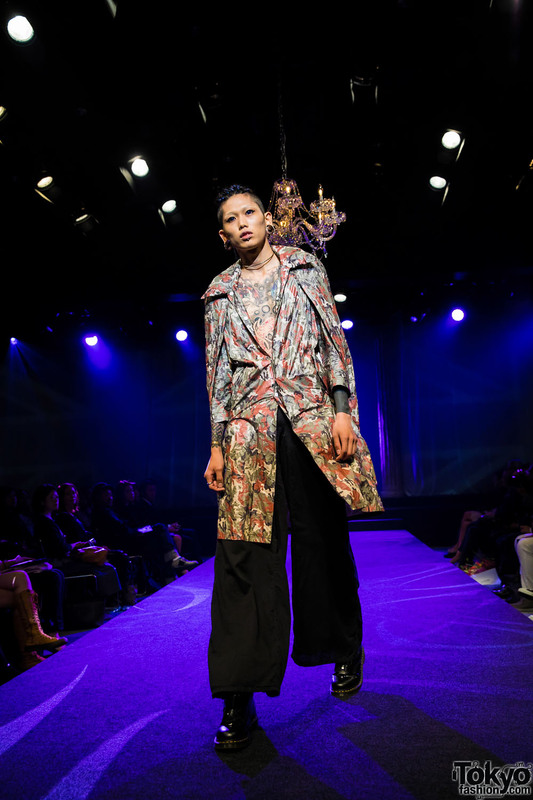 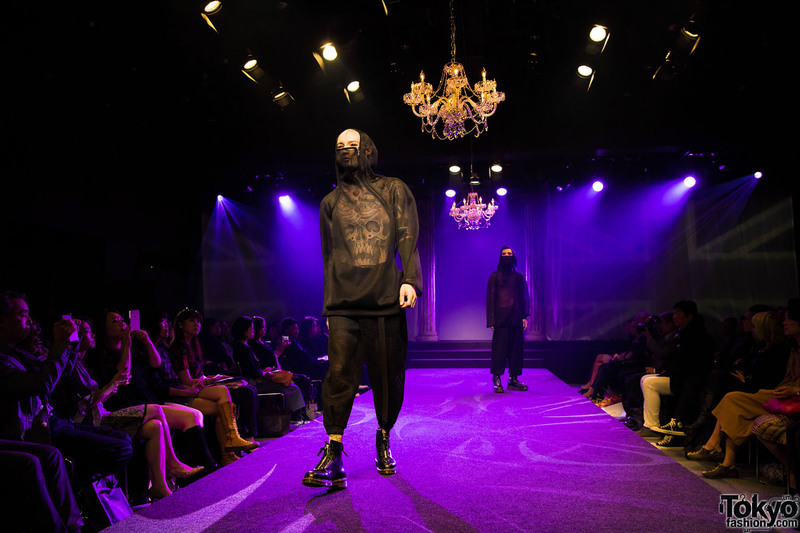 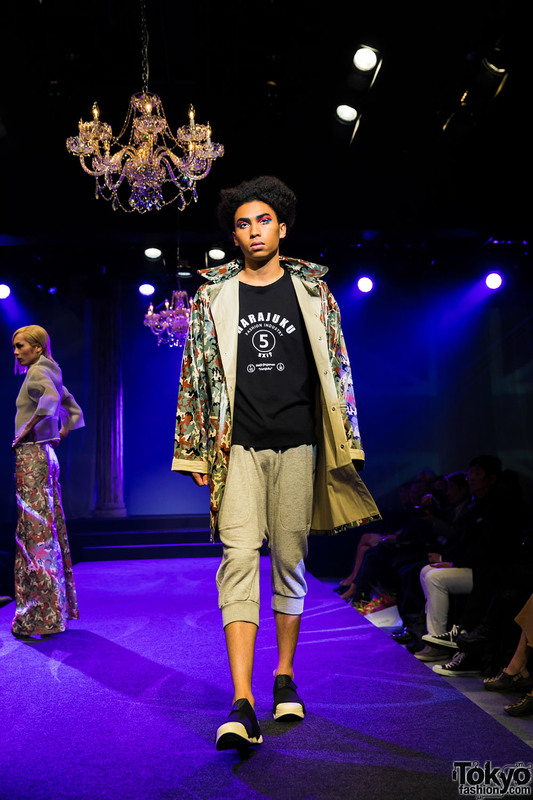 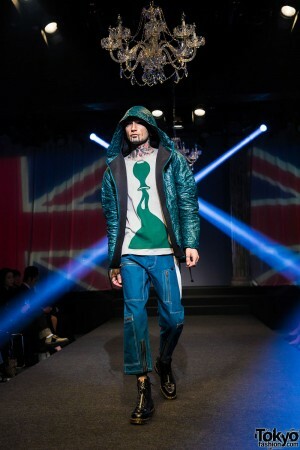 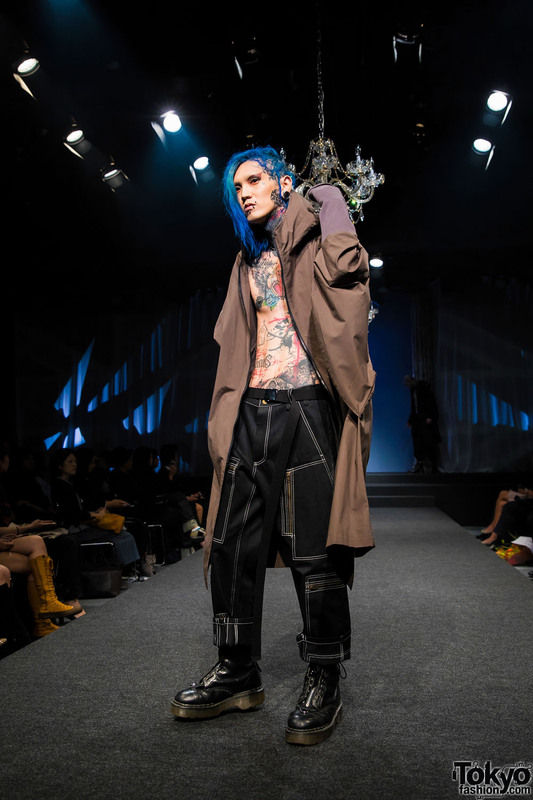 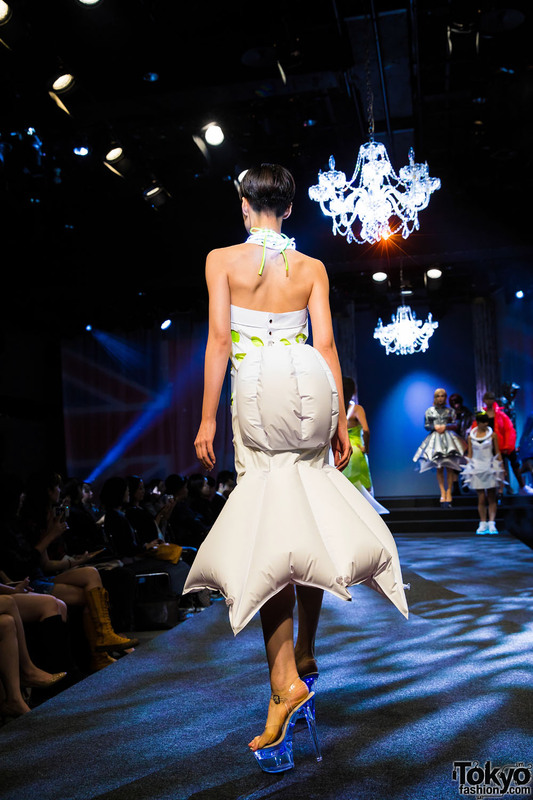 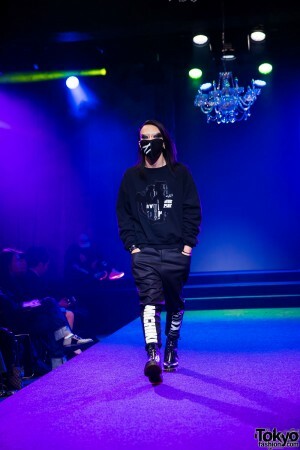 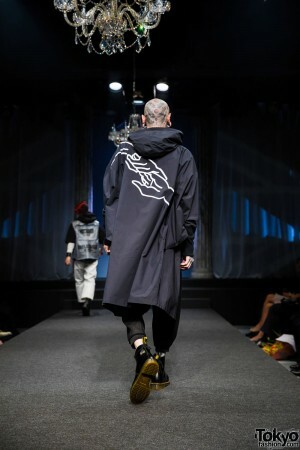 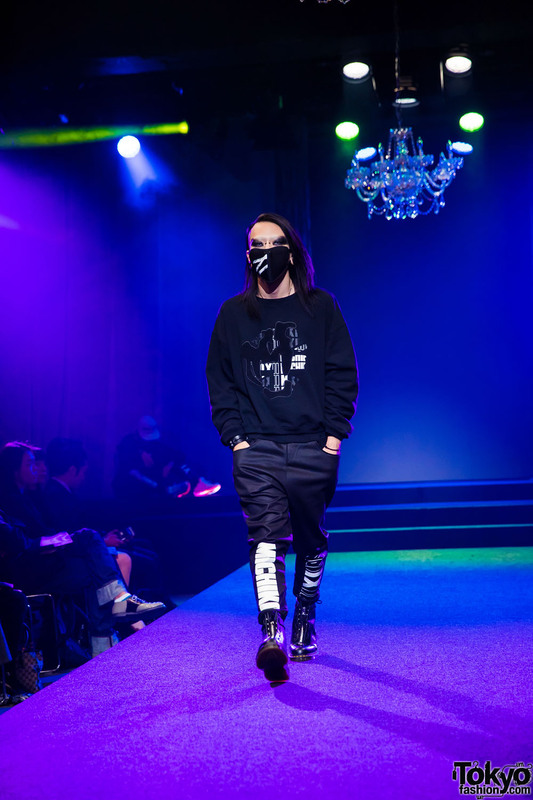 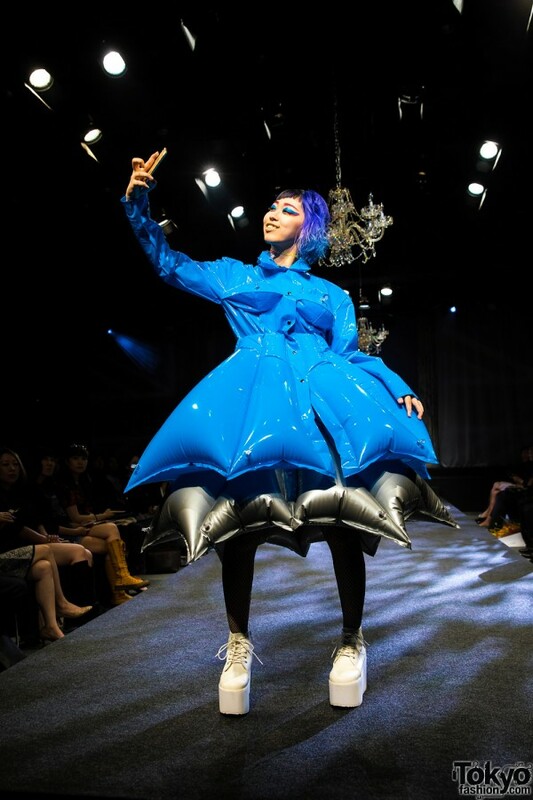 Japanese fashion designer Michiko Koshino – famous around the globe for her groundbreaking 1980s and 1990s UK clubwear and streetwear creations under the Michiko London label – held her first Harajuku fashion show in seventeen years on Friday night. 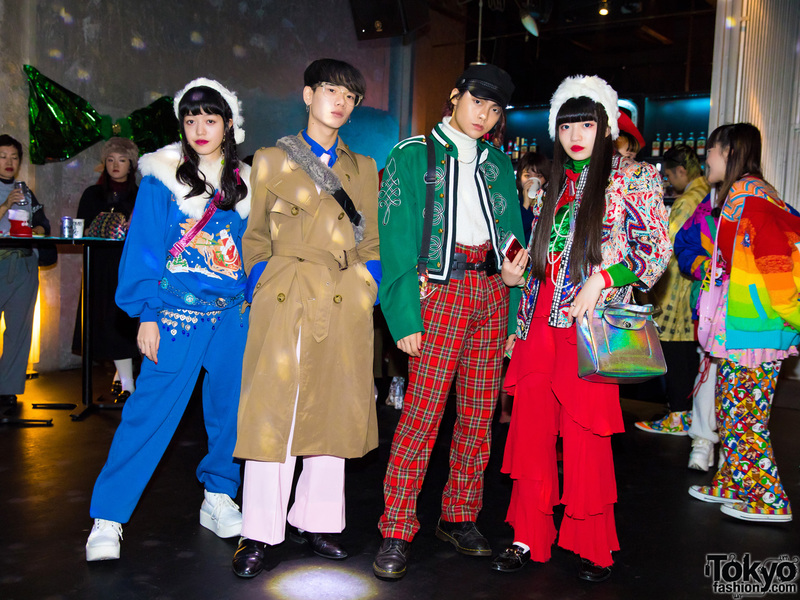 The event on the top floor of the iconic LaForet Department store was a celebration of the Michiko London Koshino brand’s 30th anniversary. 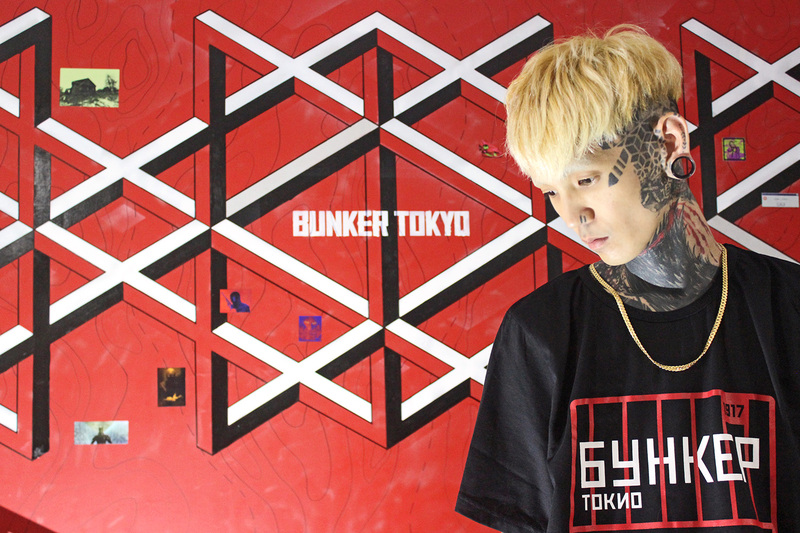 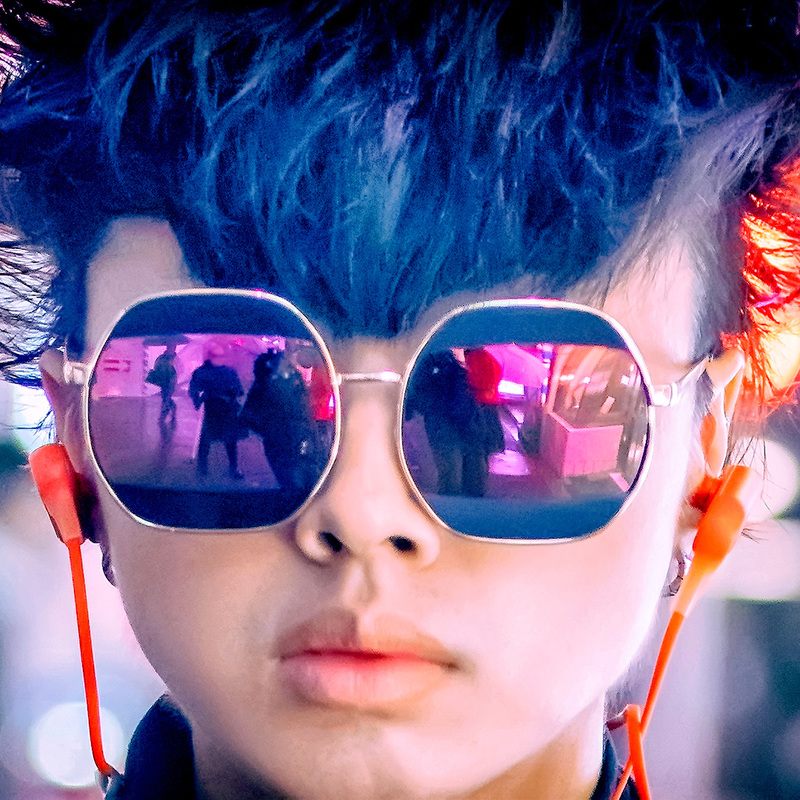 The show’s title, “HARAJUKU EXIT NO 5”, refers to the subway exit for Harajuku. 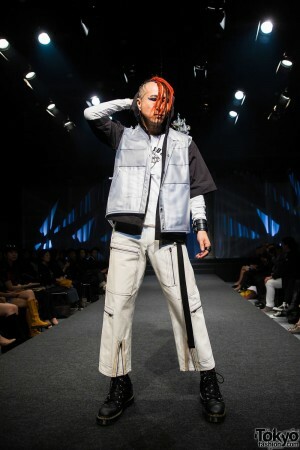 Koshino has said as soon you exit the train at Harajuku, the street fashion energy is different from anywhere else in the world. The “HARAJUKU EXIT NO 5” show included popular models from the Harajuku street fashion scene as well as subculture models from London and Italy, and showcased fashion from the Michiko Koshino 2017SS collection as well as limited edition pieces from her current LaForet Harajuku popup shop and items from the Michiko Koshino x Nona9on collection. 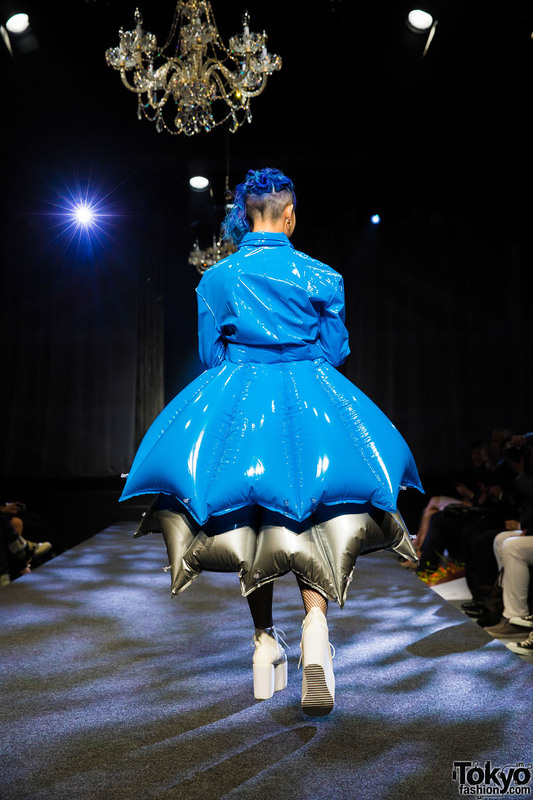 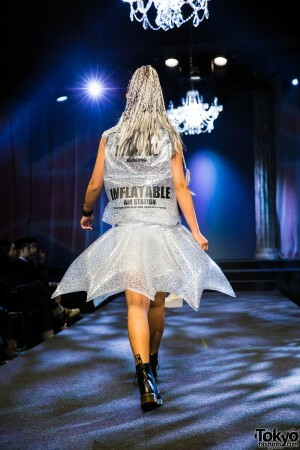 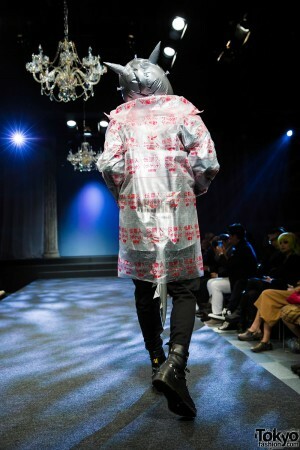 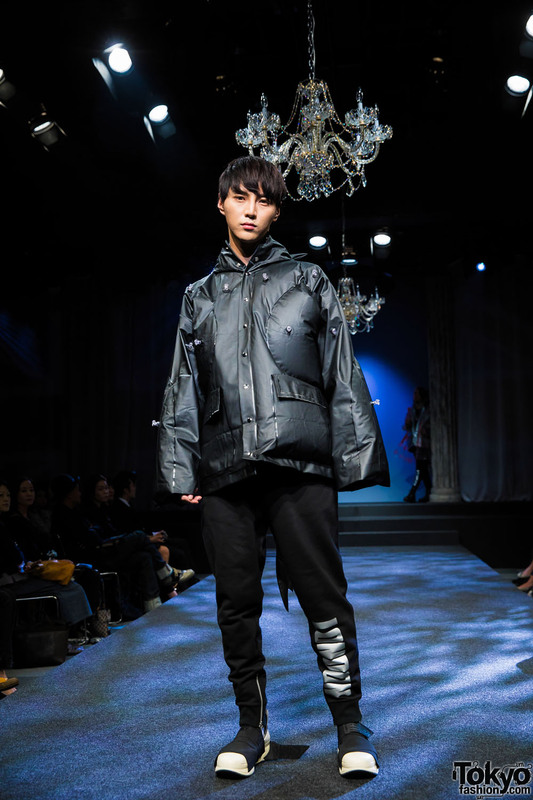 The show’s looks varied from clean white bomber jackets with minimalist black text to long hooded coats to colorful layered inflatable dresses reminiscent of some of her most famous 1980s and 1990s pieces, utilizing high tech materials. 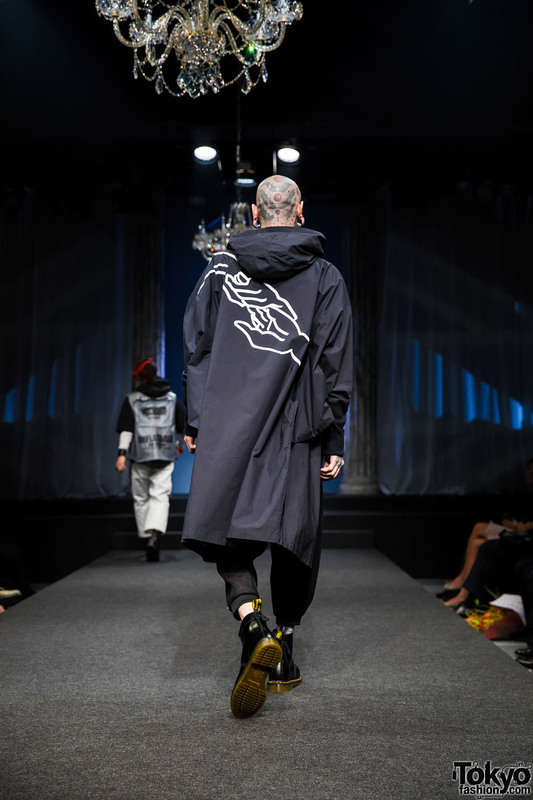 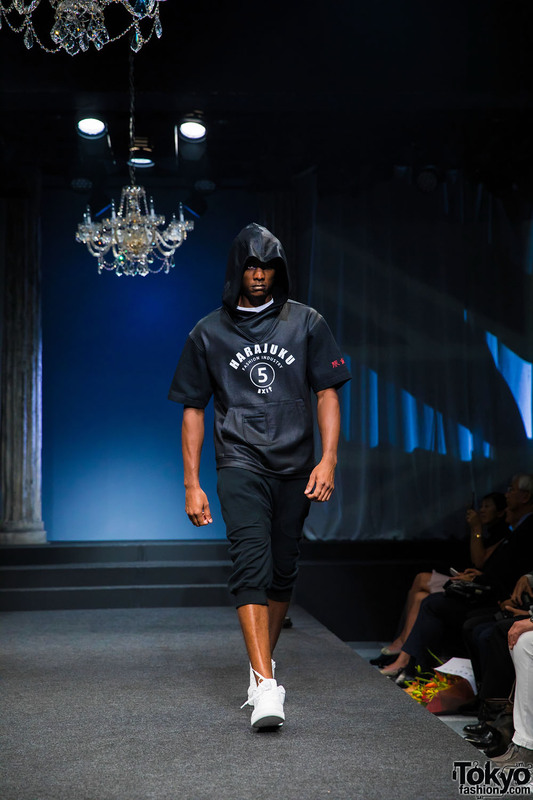 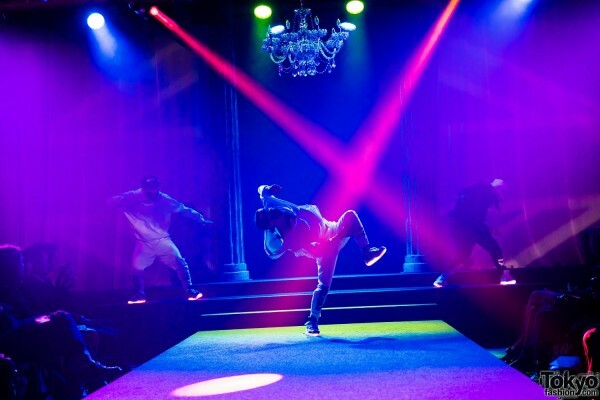 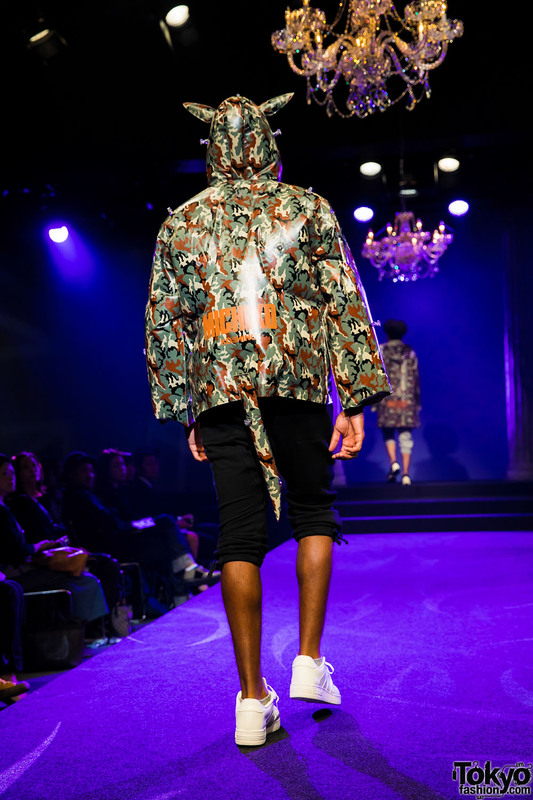 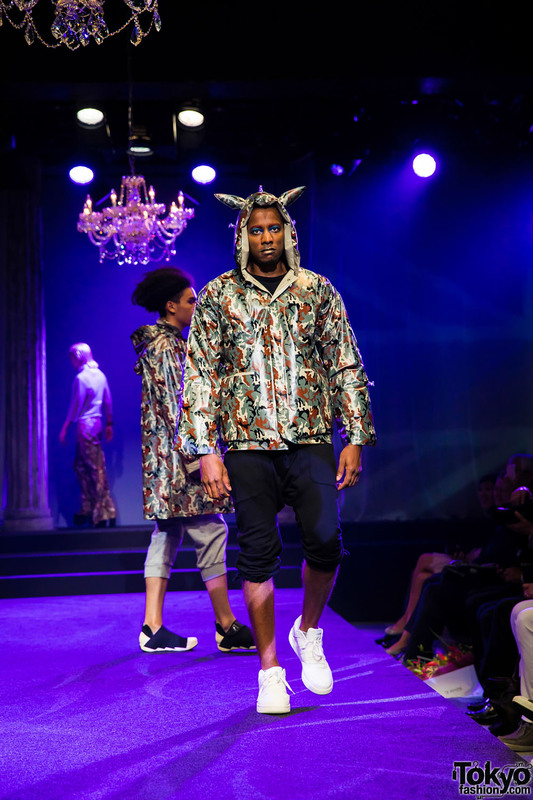 Much of the footwear was provided by the Italian streetwear company Fessura – known for their “mummy shoes”. 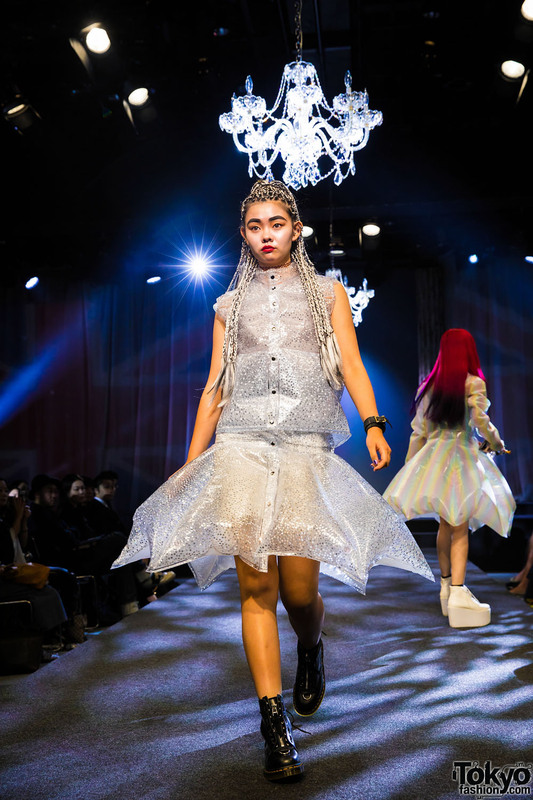 Many of the pieces in the show are available at the Michiko Koshino popup shop at LaForet Harajuku through October 20, 2016. 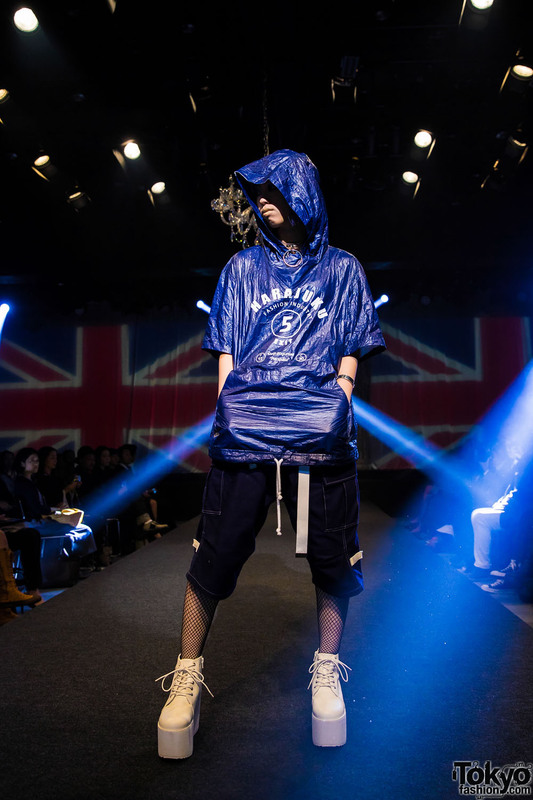 While some of the items are exclusives, others will be available in stores next year either as part of the Michiko London Koshino 2017 Spring/Summer collection, or in the Michiko Koshino x Nona9on collection. 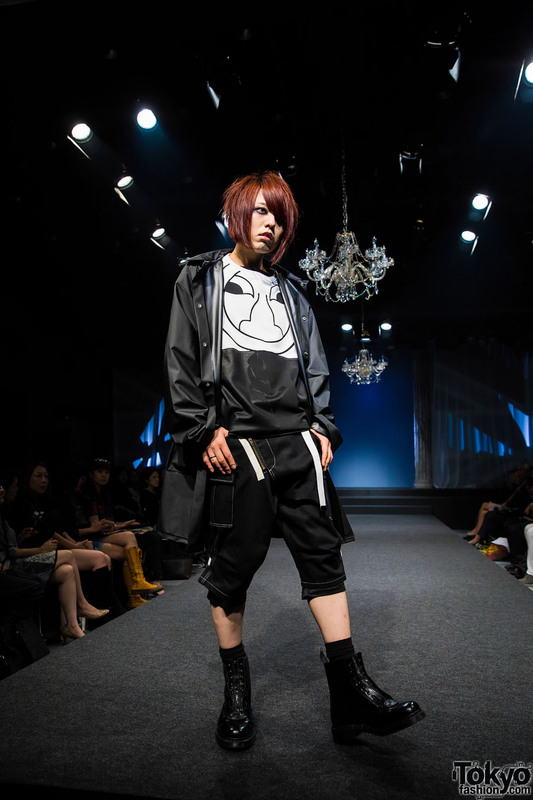 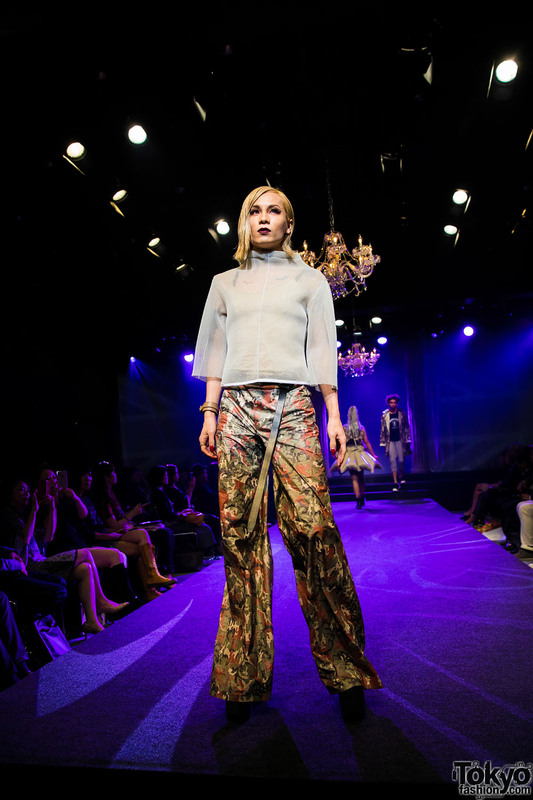 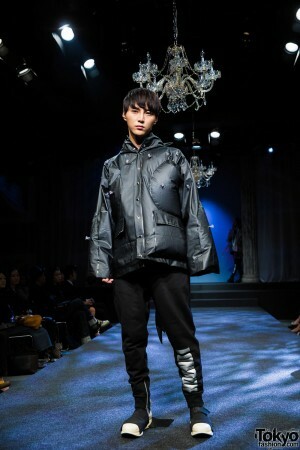 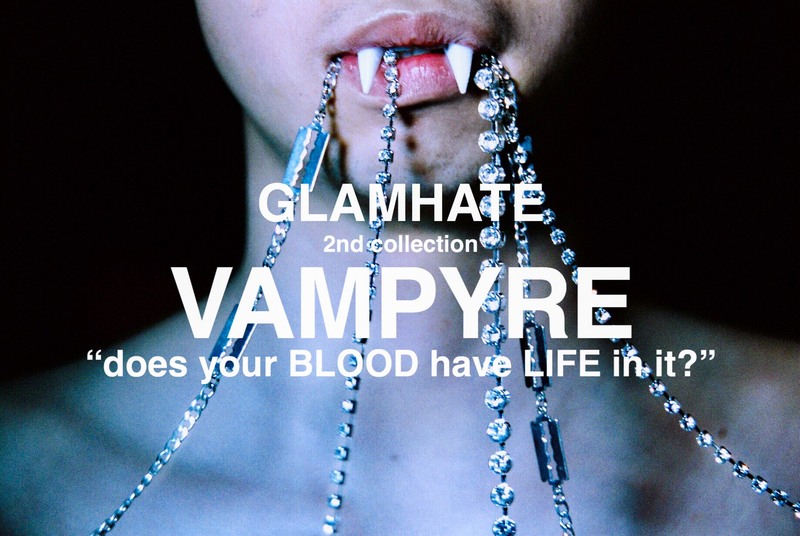 If you want to wear the pieces now – not next summer – the Laforet popup shop is your best bet. 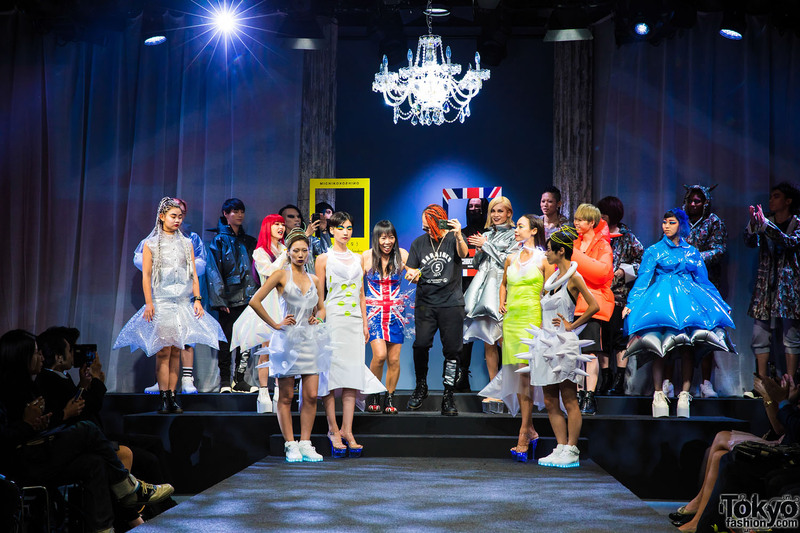 Follow Michiko Koshino on Instagram for more pictures and updates on future events in Japan and around the world. Click on any Michiko Koshino photo to enlarge it. 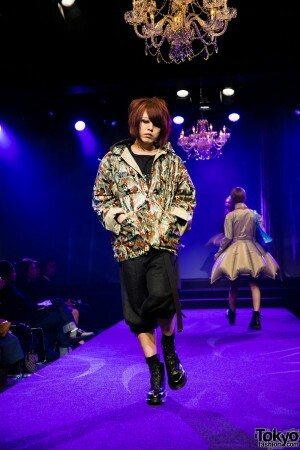 All pictures by Artist Photo Kira. This is all kinds of fabulous, loving the inflatables.